As I walked down Spadina towards the water, it seemed like I was walking out of the chaos and into serenity. Spadina is a busy street and today was no exception. At around 3pm it seemed like the streets were gridlock, but all this noise made me appreciate the end result of my walk that much more. By the time I hit the water, I could just stare off into the distance and leave the city behind me, literally. Other pleasant surprises were the little pieces of art I stumbled upon. Okay they weren’t all that little. Throughout my walk I discovered totem poles, rocks and time capsules! I learned that this was part of the city’s “Percent For Public Art Program” whereby a minimum of one per cent of all gross costs for significant developments must be put back into public art. This means art that is both physically and visually accessible to the public. Nice one Toronto! On a walk that was intended to evoke thought, these artistic encounters were thoroughly enjoyed. The Waterfront Trail is perhaps one of my most favorite walks in the city. As my footsteps landed on the trail I could hear the sound of the water rustling, the leaves being pushed along the ground, and the ducks and geese frolicking in the water. There was no traffic, or honking or people to push passed. In November the path is quite deserted and the solitude is calming instead of terrifying. 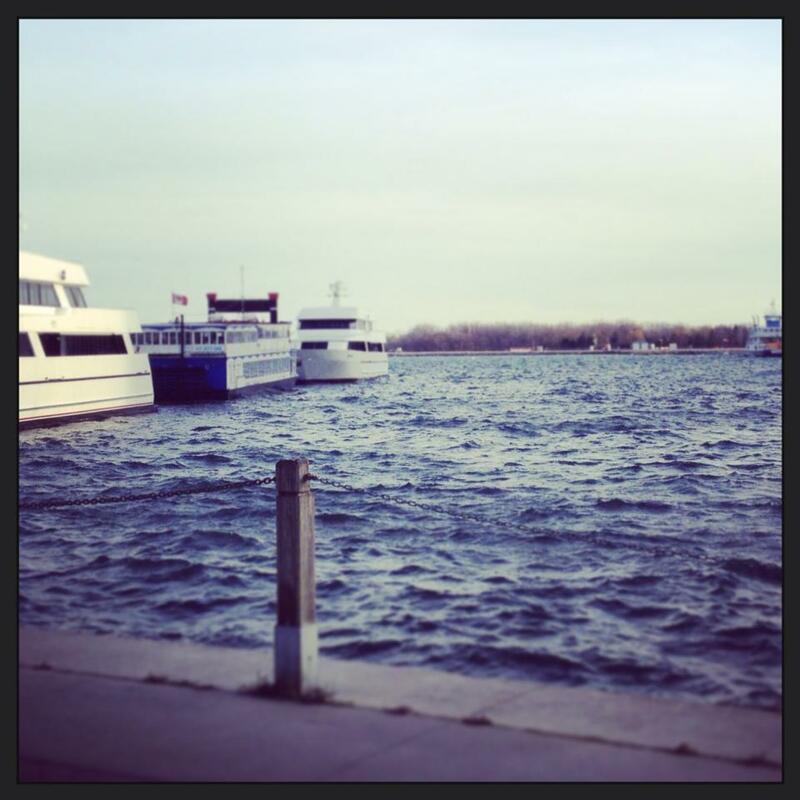 Water and parks border the Waterfront Trail, therefore you are surrounded by beauty. During the summer I spend a lot of time on the boardwalk. I usually paddle at Sunnyside and often bike to get there. There is just something about the boardwalk that creates an ambiance that is anything but big city. Walking along the path, I felt like I could have been in an episode of Dawson’s Creek ( sorry, Netflix has caused me to revisit my youth through some binge watching…but who can resist Joshua Jackson?). 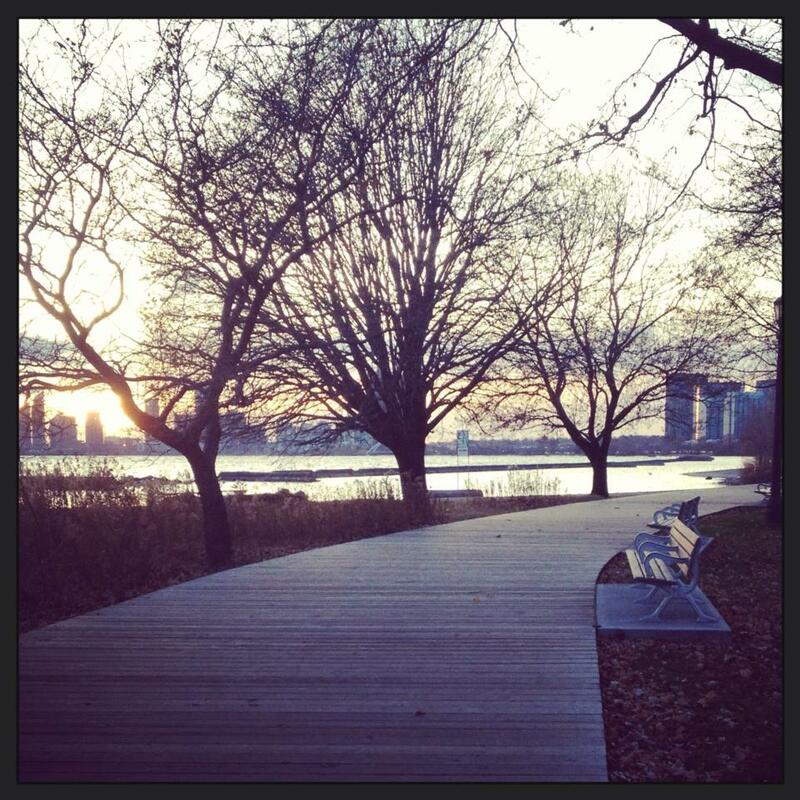 I also picked the most perfect time for my walk, because by the time I hit the boardwalk, the sun was setting. This is an instance when a picture is worth a thousand words. This entry was posted in Outdoors and tagged Boardwalk, Public art, Strolls, Toronto, Torontonowhere, Walks, Waterfront Trail by hollypost. Bookmark the permalink.